Our refrigerators are one of those appliances that we really take for granted, that is until something goes horribly wrong. Replacing your fridge with a brand new one can be a costly affair so it pays to educate yourself on servicing this important appliance and how to tell when it’s time to be done, just as you’d do with your car. With a bit of forward-planning and some knowledge on what to look for, you’ll avoid the really costly repairs and replacements with a simple service. When you touch the back of your fridge it should feel a little warm, and this is completely normal. The heat comes from the motor and can be a good sign that it’s working. However, when this heat is turned up a notch, it’s likely a sign that something is wrong. If your motor feels excessively hot then it could be broken or working harder to try and compensate for another broken part. People often assume that condensation in their fridge is a normal thing, but it’s actually a sign of trouble. If you open the fridge door and see droplets of water falling down it means that there are a cooling problem and the fridge isn’t getting to the ideal temperature, sometimes due to a problem with the seal. This can have a dangerous impact on the food you eat so it needs to be addressed immediately. If you open up your freezer and find it hard to see exactly what food is in there without digging through a metre of ice, it’s time to get it serviced. Older freezers require defrosting more frequently but newer models usually have an automatic function that does it for them. 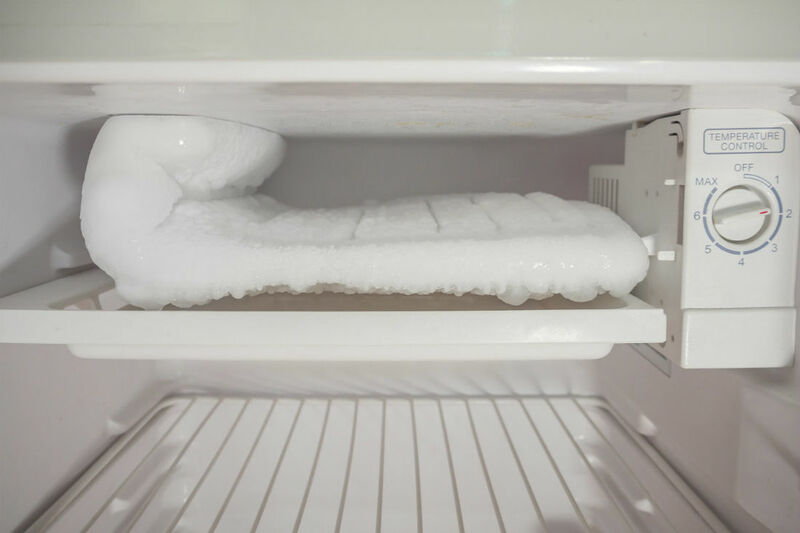 If you have to defrost your freezer more than once a year, book it in for a service to see what’s wrong. Go and stand next to your fridge and you should be able to hear a slight humming sound which is coming from the motor. All refrigerators make noises, and this is normal, but if you start to notice anything louder or different than this you’ll want to get it looked at. It could be a sign of a failing motor which needs to be rectified before it gets any more serious.